I hadn’t bought anything from Lush in just over a year. I went in, spent $50, and only one of the things I bought was for me. I bought the Mint Bubble Brush because I love mint. 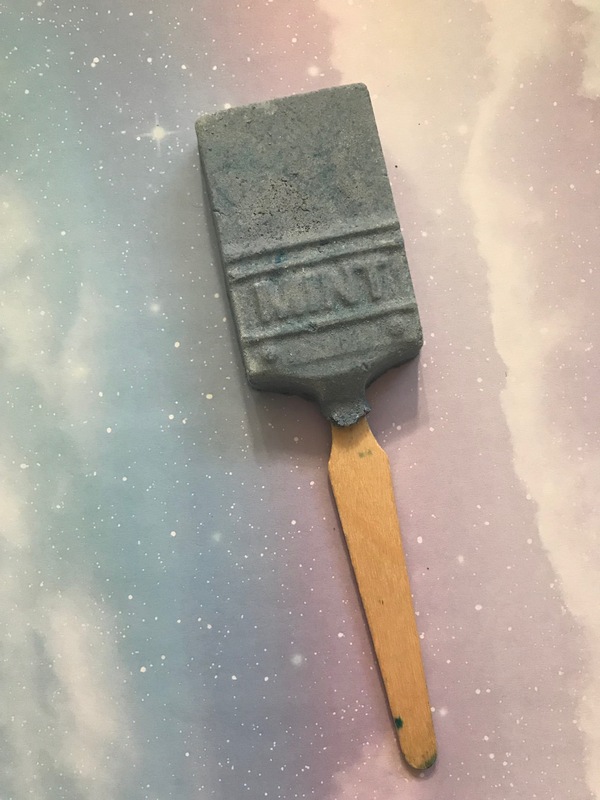 It’s a grey blue reusable bubble brush (making it one of the best-for-the-price items there) that smells of mint and bergamot. And it’s soothing as heck. I love Lush’s reusable bubble bars. They aren’t there for the show; fizzing and crazy colors usually aren’t their bag. But they do tend to release some fragrant scents, single color transformations, and bubbles for days. 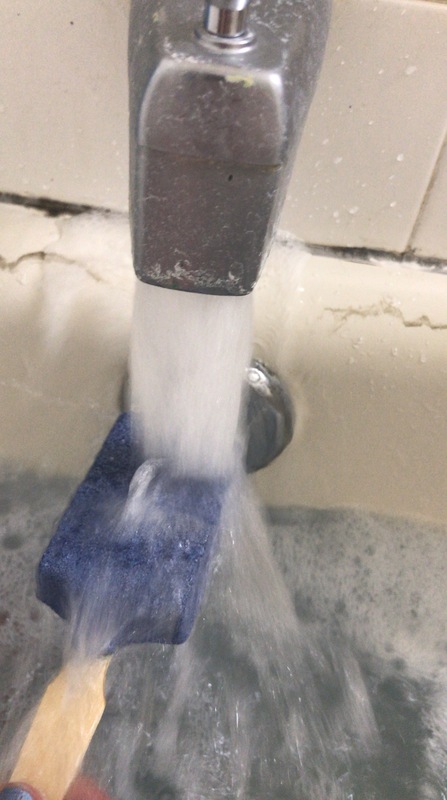 The best way to get bubbles with this brush: hold it under running water. Swishing it can move color around in your bath, but doesn’t create bubbles! As they say, two out of three ain’t bad. 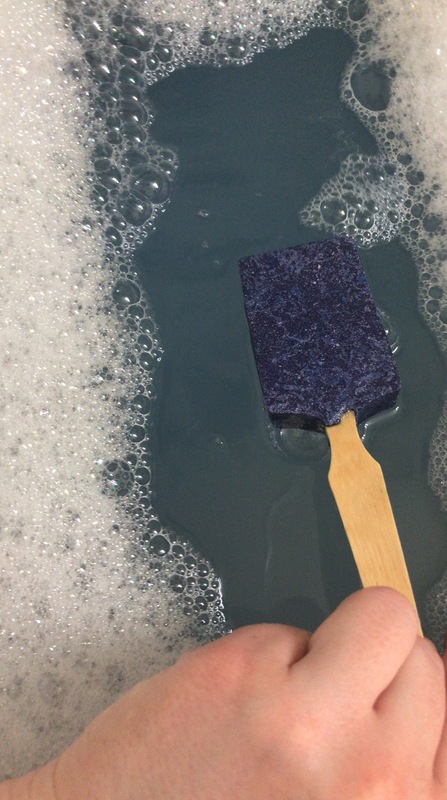 This bubble brush gave me a gorgeous, pale blue bath. It also gave me some bright white, fluffy bubbles. But the scent only really came through in the solid form. I feel like I did everything right; I didn’t have any candles burning, the fan wasn’t running, and my shower curtain was closed. But only when I sank down to my ears in the bath did I get a whiff of the beautiful scent. I’m not going to lie; I’m a bit bummed. As someone who has done nothing but rant and rave about how phenomenal Lush products are, this is a bit of a disappointment. At the same time, I’m still going to rant and rave about the company; they do a lot of good and make great products. This one just wasn’t for me! If you like barely scented baths, with gorgeous pale blue water, check this one out. Just know that the scent isn’t nearly as powerful as it is when the product is whole.